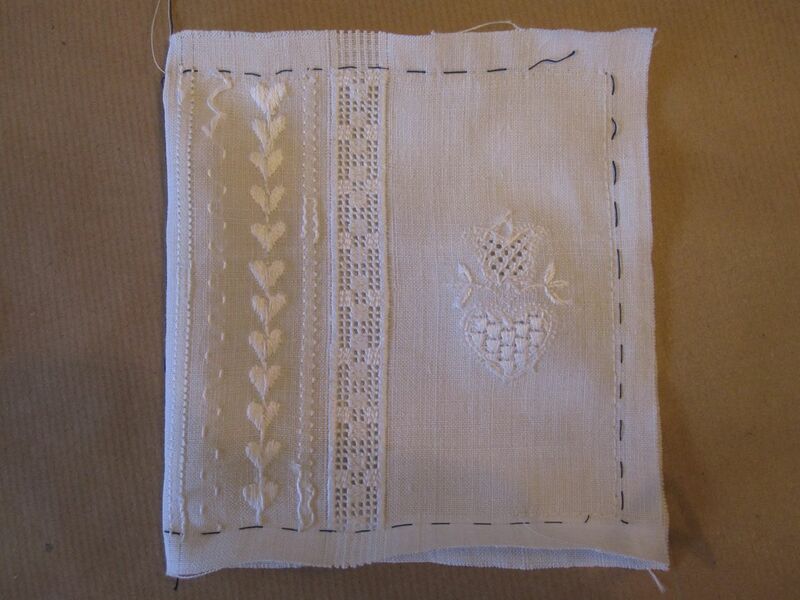 The small Schwalm borders and ornamental stitches should complement the other decorations on the pincushion. 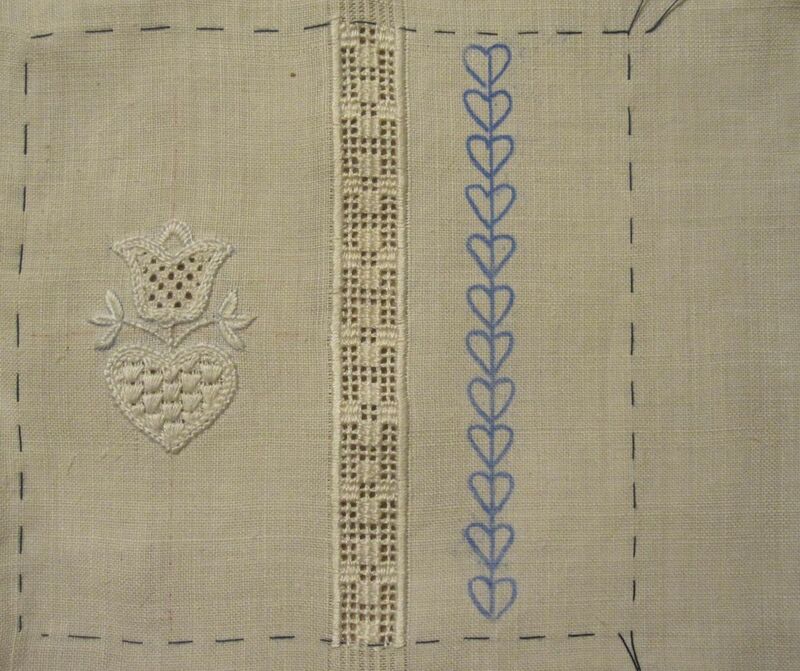 So, first a small heart border design is transferred on the straight of grain and stitched with Coral Knot stitches and Satin stitches. 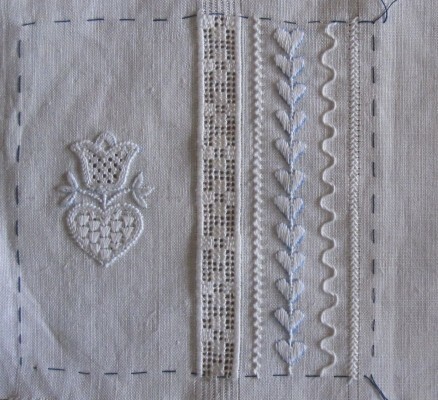 Additional decorations include “Schlängchen” (interlaced Herringbone stitches), “Kerrercher” (interlaced Running stitches) and a variation of Herringbone stitches. 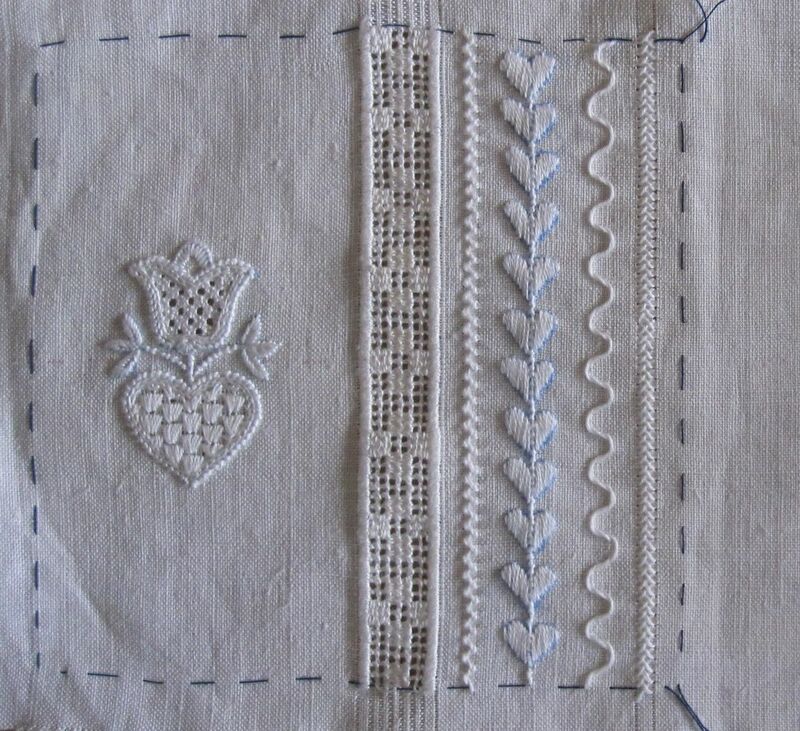 Many examples of small borders and typical ornamental stitches can be found in my download document “Schwalm Curved Lines, Narrow Borders, and Ornamental Stitches”, or you can design your own to complement the embellishments of the first two sections. 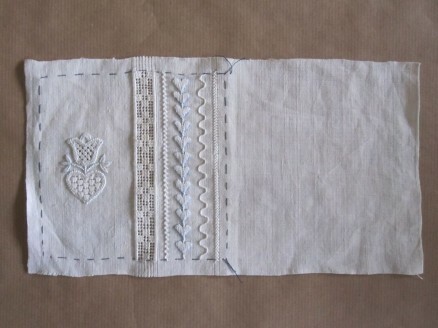 After finishing the embroidery, the fabric is cut to the measurement of 14 cm X 26 cm that was established at the beginning. 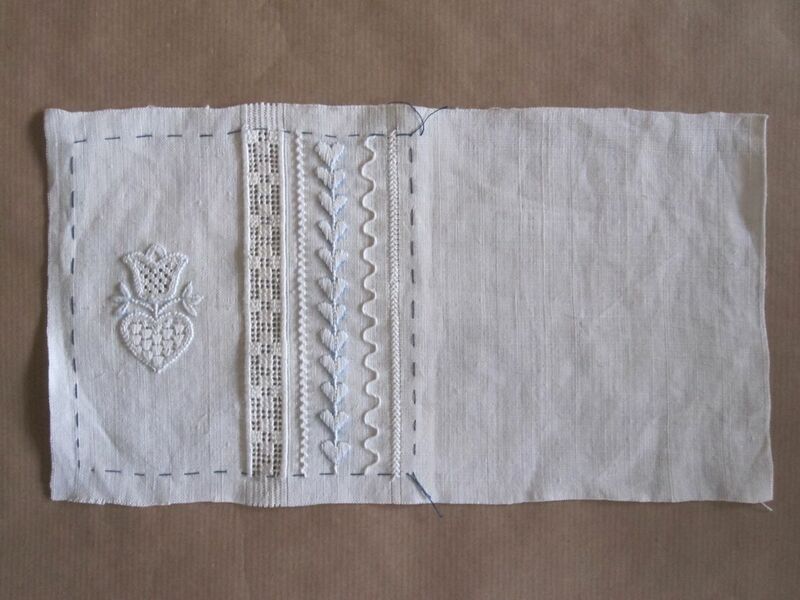 The piece is washed – please wash gently so that the fabric edges will not fray – starched and ironed. 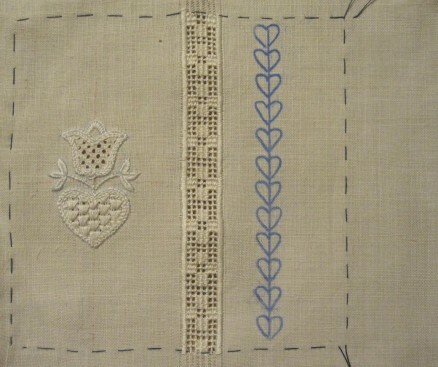 Then the piece is folded right sides together and sewn – just inside the blue marked lines – on two and a half sides (one must create an opening to turn inside out and for stuffing). The marking thread is removed. 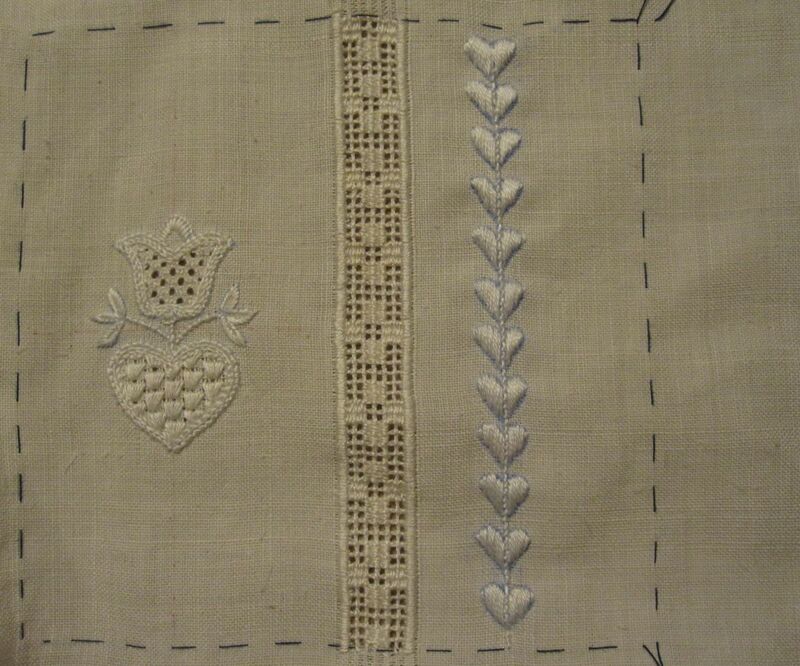 Inside is turned out and the piece is ironed once more. The pincushion is filled with Poly-Fil, wool fleece, or wadding. 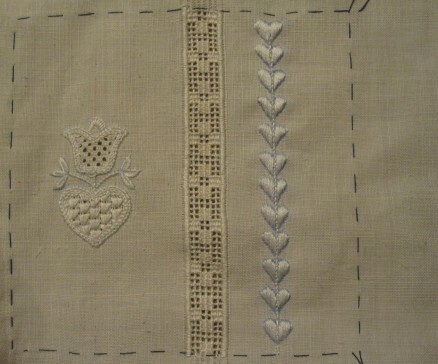 The remaining seam allowance is folded inside and secured. 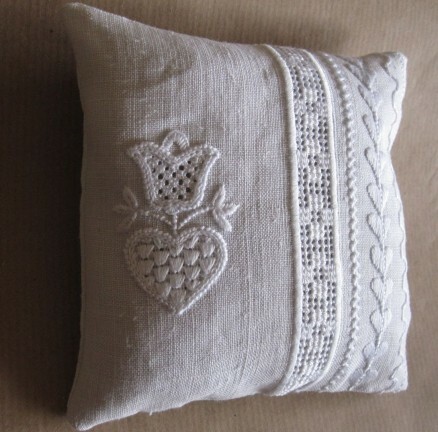 A nice little pincushion is worked. Were you able to envision this result in the beginning? 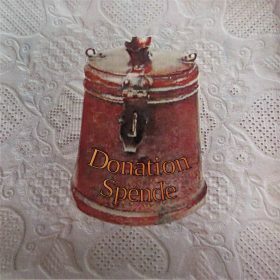 Personal critique: My first attempt did not turn out just as I had hoped. 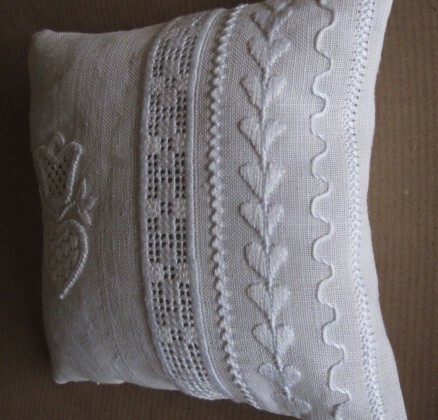 In particular, to accommodate the bowing of the pillow when it is stuffed, the motif at the left should not have been centered. 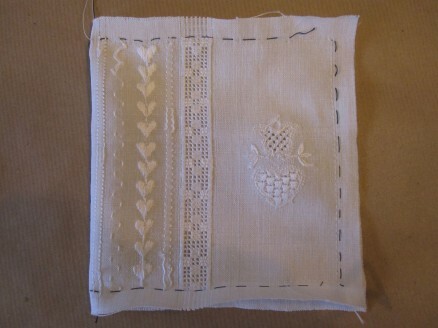 The Openwork pattern band should have been started closer to the motif. 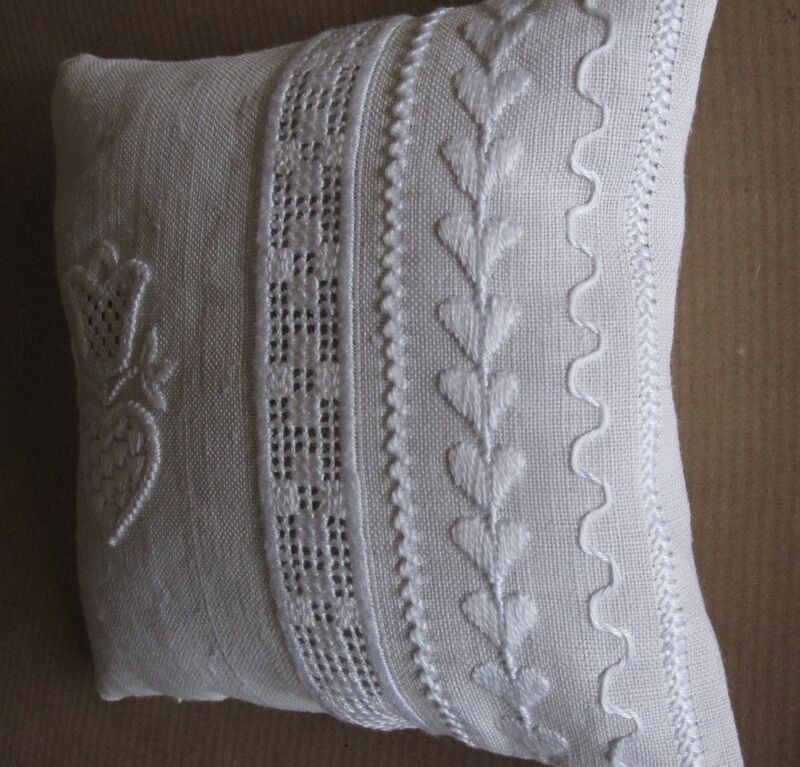 Also, the motif could have been a little larger. 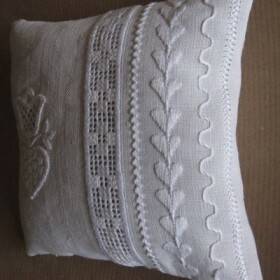 And, I think, a little needlelace edging would make it a very special pincushion. Where you able to realize your ideas? Thank you for sharing your beautiful work. 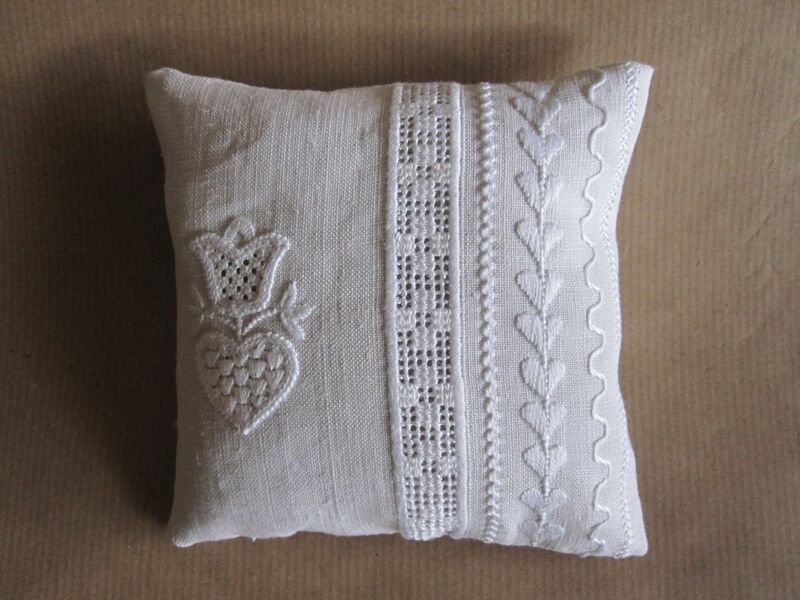 This pincushion is a charming project!